Aerial view of the 12th green surrounded by the water. 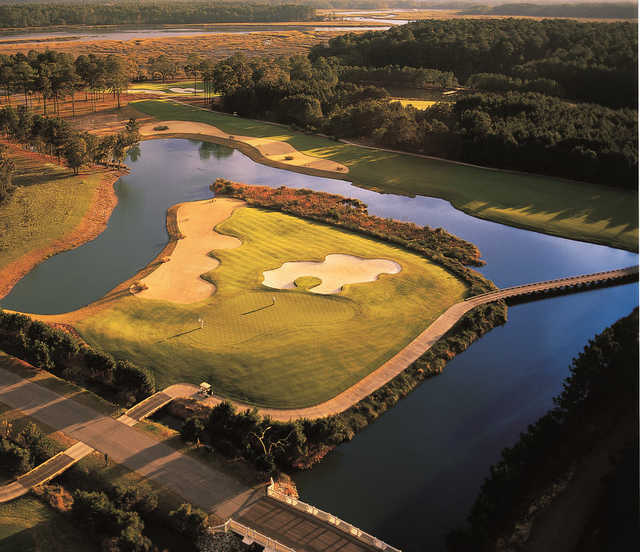 Oldfield Golf Course was the first Greg Norman design in South Carolina's Lowcountry. 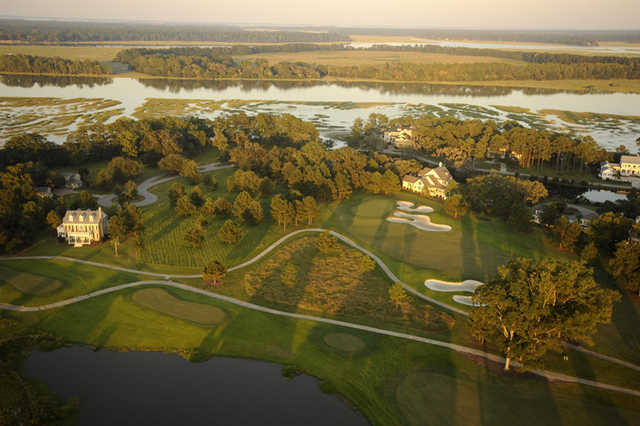 The course plays along the banks of the Okatie River between Beaufort and Hilton Head Island. 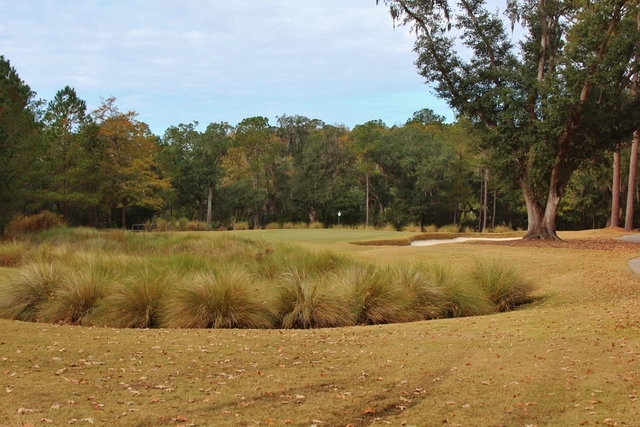 Canopies of moss-draped oaks, towering pine trees, and broad savannahs of bloomgrass and palmetto naturally enhance the course, making it clear why the beautiful landscape is a Certified Audubon Cooperative Sanctuary. 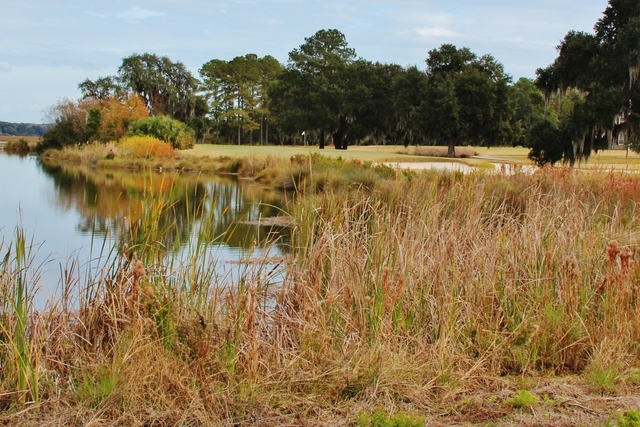 Marshland comes into play and Norman added his unique waste bunkers along the narrow fairways for added challenge. 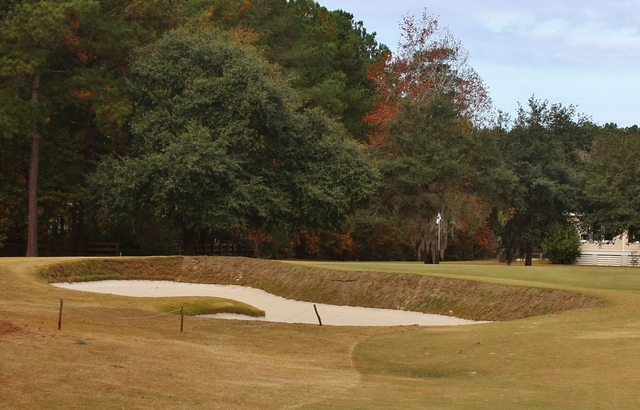 The trickiest bunkers, though, are the tall sod-wall bunkers that border the greens. 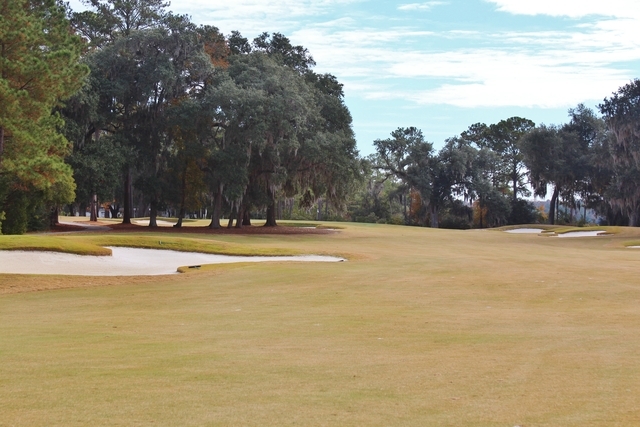 The large greens also have narrow openings, which allow for many different pin placements. 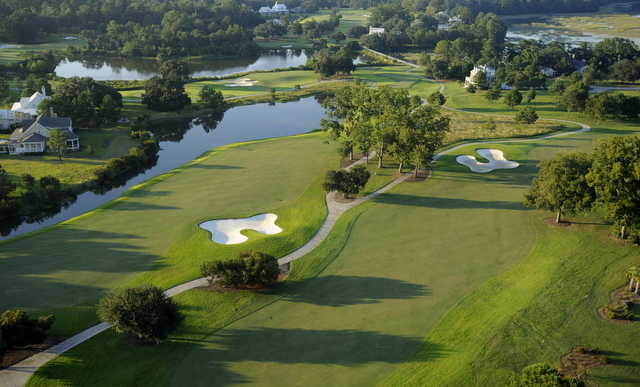 Oldfield can be demanding, but five sets of tees make it accessible to players of all skill levels. 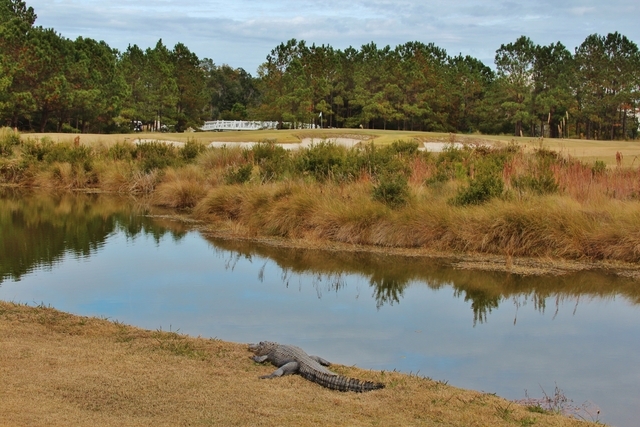 Visitor Policy: With member only. Closed on Mondays. Played yesterday morning. Great shape and for only 10 days after Matthew was remarkable!! 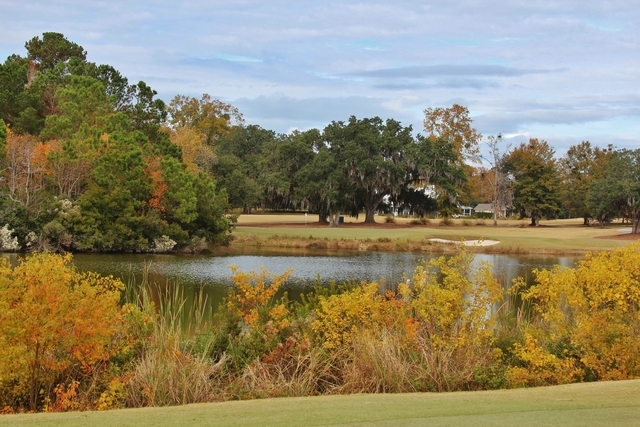 Great layout and perfect greens. Jarrod was great as well.